ArduSat 2 (Arduino Satellite 2) is a 2U CubeSat by NanoSatisfi, whose mission is to provide a platform on which students and DIY space enthusiasts may design and run their own space - based Arduino experiments. It is being built as a crowd-funded project by NanoSatisfi Inc.
ArduSat-2 is an improved version of the single unit ArduSat 1 satellite. It was launched on board of Cygnus CRS-1 to the International Space Station, from where it was deployed on 28 February 2014 from the Kibo airlock by Nanoracks deployers, but no signals were received. 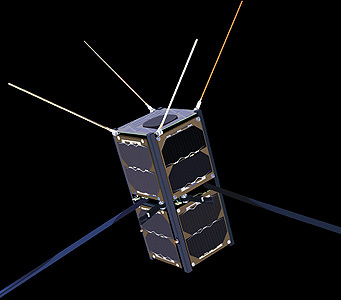 ArduSat 2 re-entered the atmosphere 1 July 2014.